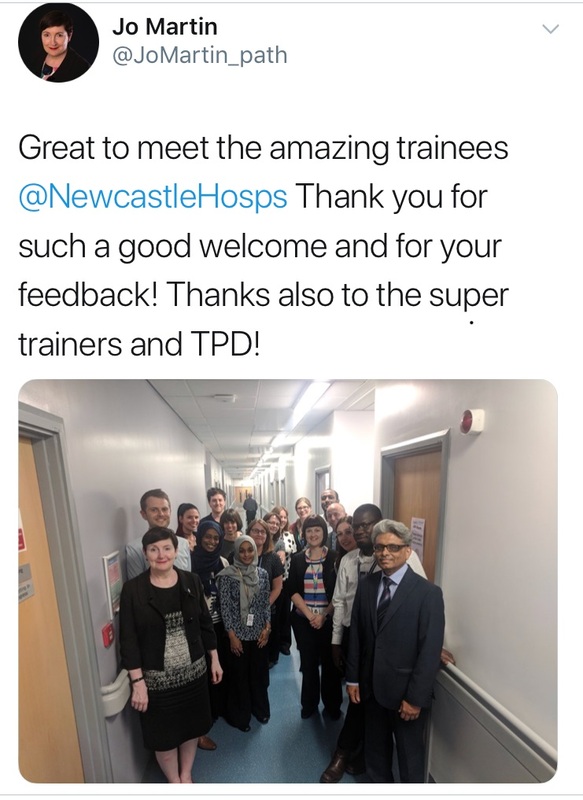 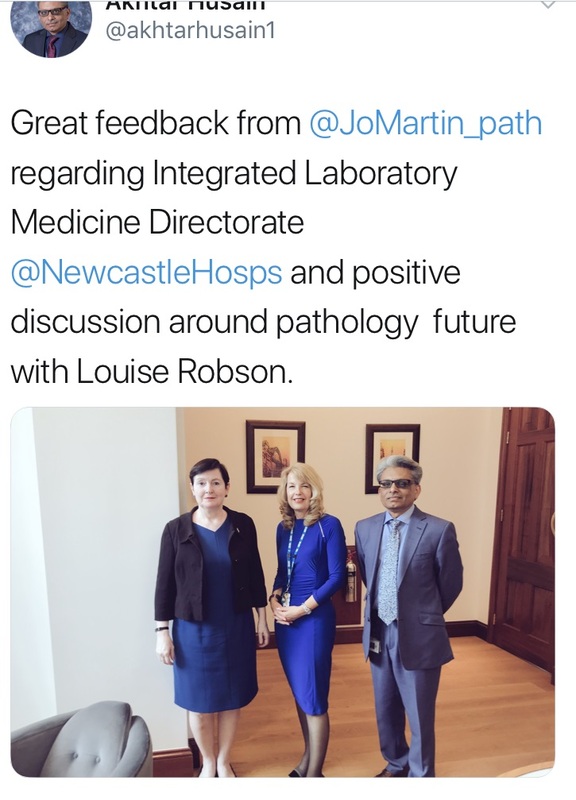 Professor Jo Martin, President of Royal College of Pathologists visited Newcastle upon Tyne Hospitals NHS Foundation Trust Laboratories. 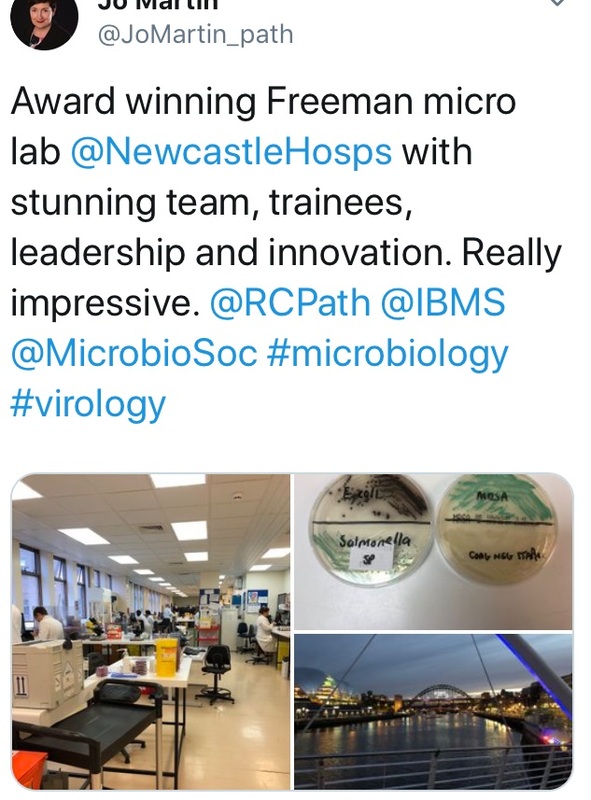 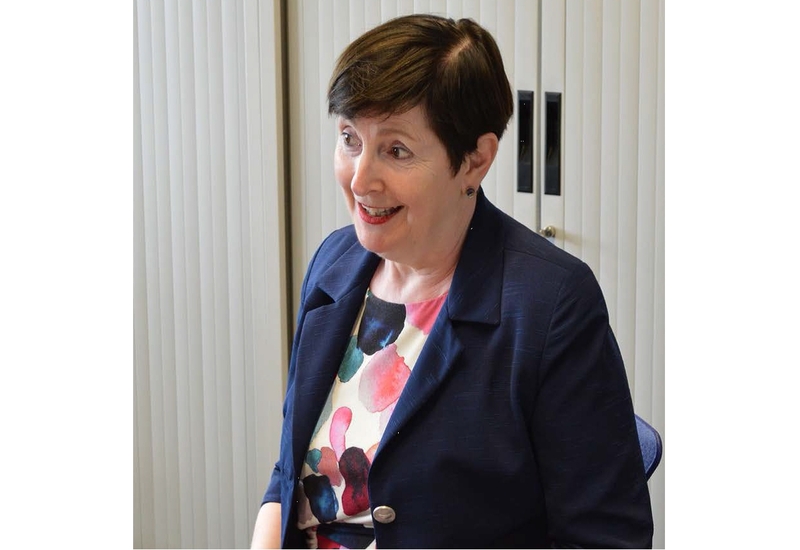 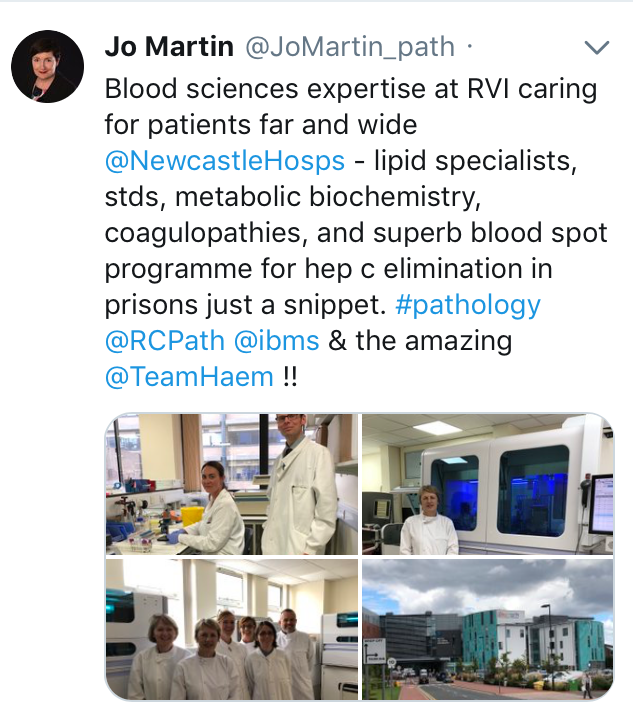 We are delighted to welcome Professor Jo Martin to Newcastle where she met our amazing laboratory staff overseeing our comprehensive range of screening, testing and diagnostic specialisms, research and innovation within Cellular Pathology, Microbiology, Blood Sciences and Genetics. 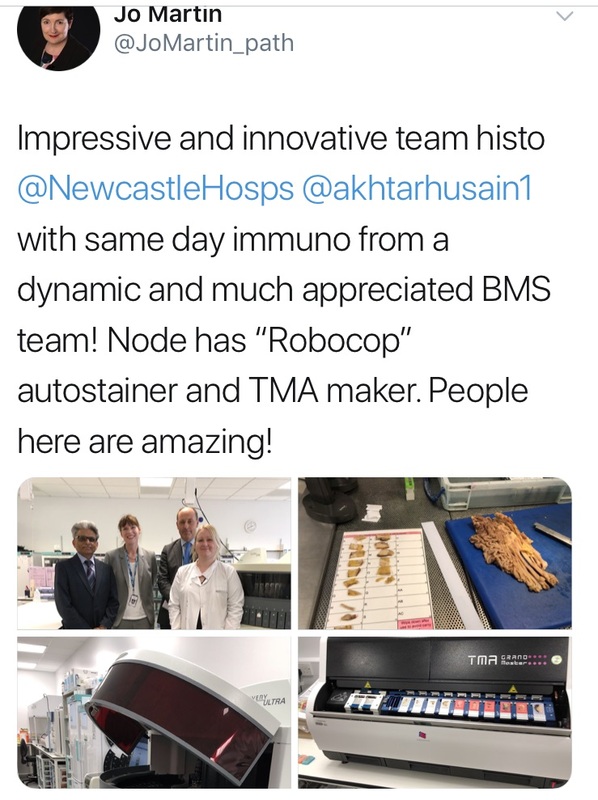 Here are some of her tweets, showcasing the amazing feedback and our high quality service.